Having trouble packing light? The key is to bring neutral staple pieces that are easy to mix and match. I commented, saying I disagreed, because I strongly do. Their post is a good example of this widely accepted misconception - that a minimal wardrobe cannot be colourful. It's not just this one brand (I have nothing against it, on the contrary, they seem nice), you'll find many an article that endorses the same idea. When I started with my first capsule wardrobe, I was so enchanted by neutral style I thought it must for sure be my style too. Long story short, after a few tries I realised I struggle without colour in my wardrobe and my style suffers for it. Now, I'm consciously adding colour to my wardrobe, you can read more about that here. I also pick a style for the wardrobe. In the spring, it was a colourful business wardrobe and for the summer, I've made a colourful boho wardrobe. Most of us crave that beach boho vibe with sun kissed hair and skin in the summer, don't we? 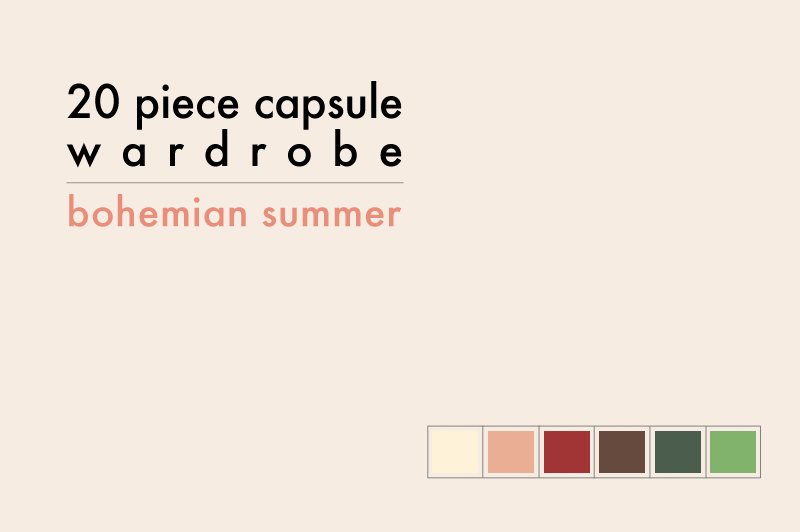 This 20 piece wardrobe would be great to pack for a holiday, to a festival, or to just live in all summer. It's a casual wardrobe for warm climates. The target age would be 20 somethings, though age doesn't play a role as long as you're comfortable. Here goes - ta-da! I say a 20 piece wardrobe, but what you see is 29 pcs in the colour palette - that's just because I like to give it some context. Take away the accessories and the bikini and you have the 20 we need. And here's a colour breakdown. 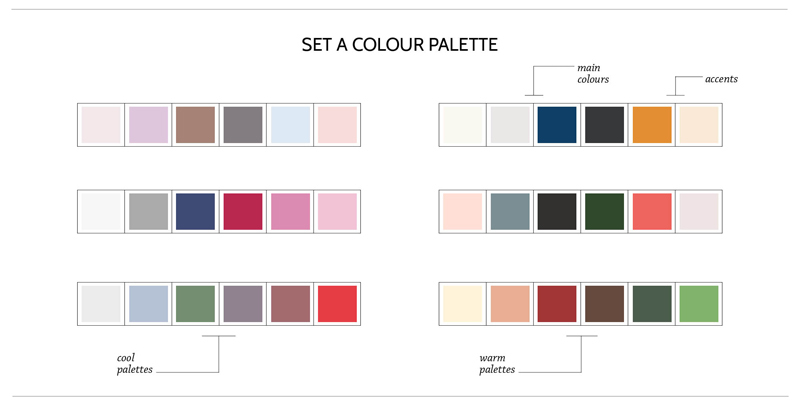 First four are main colours, last two are accents, though in this wardrobe the colours blend into one another nicely. You could take away the green and still have a nice tonal wardrobe, but with the green you gain contrast, which I find helpful in keeping outfits interesting. And now for the outfits! It was a pleasure to "make" these 20 looks. When I do these kinds of posts, I always end up wishing it was my wardrobe . I fell in love with these 20 pieces and with the state my summer wardrobe's in, I'd take them all in a flash (don't worry, I won't!). Do tell me, which looks are your favourite? I'd go with 7 for a party look, 2 for normal day and 10 for the beach! Is there anything you would wear from the 20? P.S. Anuschka from into-mind wrote a really helpful post on how to use sample wardrobes to update your closet. Read here if interested.